Mr. Locks offers gate installation and repair services to residential and commercial clients in New York City, including Manhattan, Queens, Brooklyn, The Bronx and Staten Island. Whether you interested in roll down gate repair, roll up gate installation or rolling gate maintenance, our locksmiths can help you! Call us today for a free estimate. If you encounter an issue or emergency with your rolling gate, you will find prompt and top quality gate repair services with Mr. Locks. We realize that a problem with your lock cylinder, key switch or motor can leave your property vulnerable. Our company offers 24/7 gates service in New York to get your gate fully operational and protecting your business as soon as possible. We offer repair services such as lubrication for the gate and key switch installation. If your gate is stuck, has been damaged in an accident or you need spring, motor or gate lock repairs, we are experts in rolling gate repair. When you call us to arrange professional service, rest assured that we are a fully licensed, insured and bonded services locksmith company. Call us for your routine maintenance issues to keep your product in excellent working condition. At Mr. Locks, we understand the urgency of a suddenly malfunctioning gate. Being unable to secure your business at closing time or open your rolling gate for the start of your business day creates an urgent situation. Call us for prompt, emergency service from a highly qualified repair team that will get you back in business quickly. We are committed to providing professional and reliable service at fair prices and attractive options. If you have any questions, feel free to call or stop by and we will be happy to offer any assistance or advice. 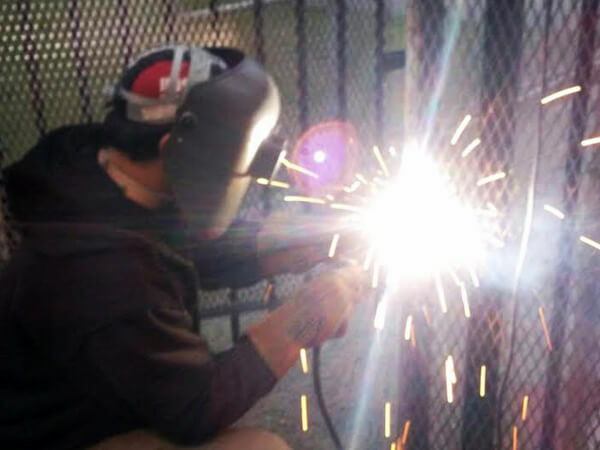 For Gates Repair Services Click Here – 24 Hour Rolling Gate Repair in ALL over NYC.